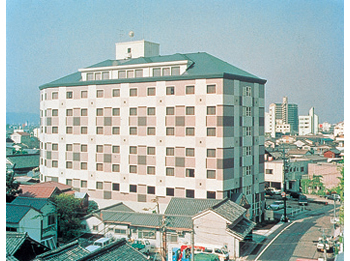 Court Hotel Kurashiki boasts the room with spacious layouts and bright atmosphere coordinated by the theme "Gardens of the world." Kurashiki City is an old city which remains of old warehouses and white-walled street. It is convenient for leisure or business and close to Kurashiki Bikan district and Ohara Museum. Restaurant Premier emphasizes Western cuisine with an abundant selection of menu items that include Japanese foods reflect the traditional Kurashiki local cuisine.